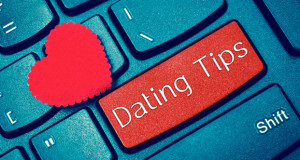 Are you looking for online dating tips for men over 40? If so, you will be happy to know, first off, that both men and women between the ages of 35 and 55 represent the large group in the online dating world. What does this mean for you? Well, you have a great advantage as the opportunities for you to find a quality woman online are endless! Please read on as we will be discussing expert strategies for getting overwhelming responses, quality responses from women online. But first, you would love to know that online dating has become quite commonplace in today’s society. In fact, it is now one of the BEST sources for finding and meeting quality women! By learning and understanding online dating tips for men over 40, you will be ahead of the curve! OK. Let’s get right to it. 1. Make your photo fun or humorous. This is important. Women are actually intimidated by photos that are either too serious or too business oriented. You may actually believe women are impressed by these types of photos, but the truth is they’re not! The best thing you can do for your photo is a smile. A woman must feel an instant connection with a man, even when viewing a photo. Smiling will leave the greatest impression! 2. Be detailed in your profile. Women must feel a connection to you either by common interests or some type of common ground. By being detailed in your profile, this allows for a greater opportunity for women to feel connected to you. Don’t be afraid to describe even the smallest things such as the types of restaurants you prefer, the vacations you wish to take in the future, favorite movies and so on. You’d be surprised at how many women share the same interests as you. The more details you include, the more likely a woman is to respond to you. This is probably one of the most important online dating tips for men, regardless of your age! 3. Don’t be too aggressive. If you are too forceful, women will not respond. A woman generally prefers to take things slow, so you must allow for the communication to build so that she can develop an attraction for you. Allow yourself to develop a rapport with a woman before taking things offline. Don’t be afraid to let your character shine through. Be respectful, be courteous and, overall, just be yourself. To fully understand online dating tips for men, you must understand the importance of character. Before sending a message, try going back and reading over to make sure you are coming off the way you would like. Also, you’d be surprised to know that grammar and spelling errors are also a turn off to women looking for the right man online! Based on the statistics, your initial contact with a woman is the most important. For example, simply saying ‘hi’ is not a message that will yield you a response. Here’s a great strategy, respond to something she wrote in her profile. For example, you can say “Hello from a fellow beach lover.” This may sound corny, but it is highly effective because it tells a woman that you actually took the time to read through her profile, and you are giving her an honest response. Women wish to know that you are interested in them personally, not just physically. If you follow these simple dating tips for men over 40, you will be sure to achieve great success with online dating!